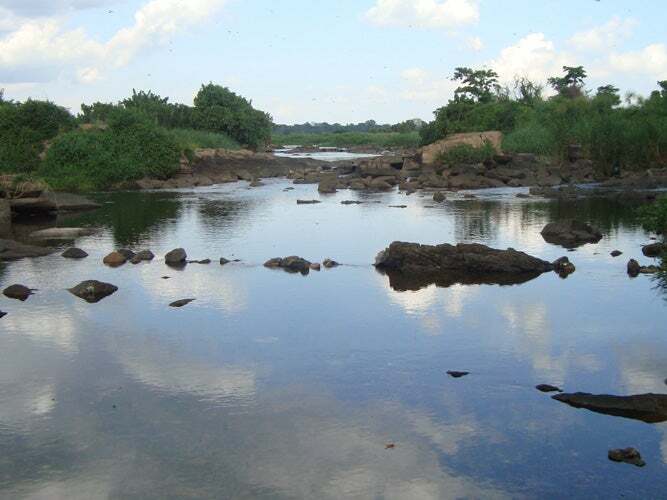 China International Water and Electric (CWE) has commenced construction on a 183MW hydro power plant in Busaana sub-county, Kayunga district, at Koova Island in Uganda. Located 40km downstream from the Bujagali hydro power plant, the Isimba Falls project calls for the construction of four 45.8MW Kaplan hydro turbines and a 132kV power transmission line connecting the project to Bujagali. As part of a bilateral agreement signed between the governments of Uganda and China in July 2013, the project was awarded to CWE and is being funded by the China Export and Import Bank. In addition to construction, CWE will also provide training and employment to Ugandans. The total cost of the project, including a substation, is estimated to be around $556m, while the associated transmission line will cost another $11.7m. Construction of the entire project is expected to take approximately 34 months. To be spread across a total of 2,867.6 acres of land, the project is likely to create more than 1,500 permanent and 3,800 casual jobs during the 34-month period. Once up and running, the project is expected to generate 1,039GWh of electricity annually and will increase the total electricity installed in the country by 23%. "The project is expected to generate 1,039GWh of electricity annually and will increase the total electricity installed in the country by 23%. The project, which is Uganda’s fourth-largest hydro project, will generate hydroelectric power at 68 cents per kWh, which is claimed to be the lowest in East Africa. Ugandan Minister of Energy and Mineral Development Irene Muloni said that the project will provide several benefits for both Kamuli and Kayunga districts as it uses local labor and construction materials, besides providing clean electricity. Earlier in 2010, Uganda awarded a contract valued at $3.8m to the joint venture partners Fichtner (lead) and Norplan to carry out a study of a potential new hydro power project on the Nile River. The scope of the contract included the feasibility study and preparation of tender documents for the Isimba plant and a transmission line to Bujagali. Image: Isimba is located between Victoria and Kyoga Lakes. Photo: courtesy of Uganda Electricity Generation Company.